What is the 43rd wedding anniversary name and symbol? Many congratulations on your 43rd wedding anniversary. There is one theme associated with this anniversary and that is travel. You can revisit your favourite holiday destinations or you could even visit places that you might be thinking of retiring to. A novel way to plan your trip would be to write the names of 43 countries, that you would like to visit, on pieces of paper, put the names in a hat, draw one from the hat and get your children to pay for the trip! You could even set up some holiday homes or even a timeshare so you can really splash out for your 43rd year wedding anniversary gift. Maybe book a 43 day luxury cruise, or simply make a packed lunch and get on a coach for 43 stops or that has travelled 43 miles. 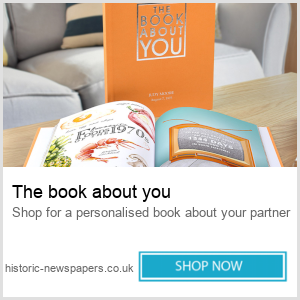 You may just wish to celebrate in front of the log fire with a nice bottle of champagne and your favourite take-away meal, reminiscing with your wedding album. 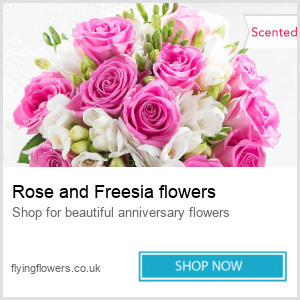 Flowers are well known for speaking the language of love so let your floral tribute speak for you. It could be made up of one favourite flower or a mixed bunch, but accompanied with a love message will add that romantic sparkle. What can I buy my husband for our 43rd wedding anniversary? Scratch map (scratch off the places you have visited over the years). Travel to a new pub for lunch. What should I buy my wife on our 43rd wedding anniversary? Gift vouchers for books, flowers, chocolates. Surprise her with a train ride and pub lunch. Hilton Three-Course Dinner and Thames Sightseeing Cruise for Two. Whatever you decide, as always celebrate your 43rd wedding anniversary with love and romance.